To mark the tenth anniversary of the death and the first anniversary of the canonization of Pope John Paul II the Polish Parliament designated the year 2015 as the Year of St John Paul II. The Irish Polish Society will contribute to the Year of the “Polish Pope with a number of special events. The first will take place in the Polish House on Sunday, 14th June, 4pm. John Paul II as an important catalyst in the downfall of Communism in Eastern Europe – a talk with presentation of some historical material and documentaries, followed by discussion. 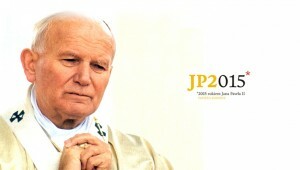 A video (45 minutes) with clips from various documentaries (some from private archives) covering the important points of John Paul II pontificate will be shown. Light refreshments after the presentation. Everybody is very welcome. Admission is free.